My Credit Card Rates Are Too High. What Can I Do? If your credit card rates have recently gotten too high, here are some tips you can try to lower your rates on credit card debt. Think your credit card rates are too high? Join the club. According to the IndexCreditCards rates monitor, credit card rates are near the highest they've been since our website first started tracking rates. 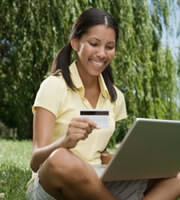 Legislation that went into effect in 2010 related to the Credit Card Act was aimed at protecting consumers. But this legislation may have also caused many credit card companies to interest rates and fees in order to stay profitable amidst the changes. But no matter whether high rates are a direct effect of legislation, you may still be dealing with credit card rates significantly higher than a few months ago. So what can you do to lower interest rates on your credit cards? If you have not been late with credit card payments and handle other bills responsibly, call your credit card companies and ask to have rates decreased. Ask to speak with a manager if you initially meet resistance from the customer service representative. In some cases, threatening to close a credit card account may result in getting interest decreased. While you want to avoid opening new credit lines if you are trying to pay off debt, there are times when using balance transfer credit cards can be helpful. Balance transfer credit cards usually have a low introductory rate for a period of time, which can range from about six months to a year. The best use of these deals is to pay off the debt in full before the teaser rate expires. Although these low-rate balance transfer deals are getting harder to find, some borrowers with good credit are still receiving them. If you have no luck with the previous strategies, you could use a home equity line of credit (HELOC) to consolidate credit card debt and get a lower interest rate. But keep in mind that a HELOC uses your home as collateral, so if you can't make the payments, your house is at risk. Once you move credit card debt to a HELOC, stop using your credit cards so you won't run up new bills. 0 Responses to "My Credit Card Rates Are Too High. What Can I Do?"